What is Organic Coconut Sugar? This 100% Organic Coconut Sugar is rich in flavour and is the ideal alternative sweetener for drinks, desserts and delicious home baked goods. Sustainably grown in Indonesia, it hosts a sweet caramel flavour and its unrefined meaning it’s never filtered, processed or bleached! Furthermore, it boasts a low melt and a high burn temperature, making it the ideal cooking agent for cakes and recipes. What are the Key Benefits of Organic Coconut Sugar? This product has been 100% organically produced. The perfect healthy alternative to cane sugar in any recipe. Delicious rich and sweet coconut flavour. What do I taste like? This product has a sweet coconut flavour. Across the Globe, organically based products are becoming increasingly popular as individuals sway towards products that contain fewer pesticides at affordable prices. What do I go well with? Organic Coconut Sugar is versatile product that can be added to sweeten raw chocolate recipes or drinks. Can be added to drinks and shakes to boost nutritional value and taste. 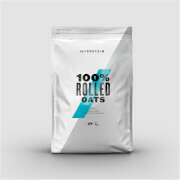 Myprotein’s other ranges of Organic flours, roots and seeds to complete your store cupboard staples. The perfect alternative to cane sugar in any recipe. Delicious rich and sweet flavour. Our expert team of qualified nutritionists recommend using this Sugar as directed during cooking or baking. Experiment with sweet and savoury recipes. Store in a cool, dry place away from direct sunlight. This product is intended to be used alongside an active lifestyle and a balanced diet.Suitable for the Vegan, Vegetarian and Gluten Free diet.